In fact, there may have been two early windows of habitability for Earth's Moon, according to a study online today in the journal Astrobiology by Dirk Schulze-Makuch, an astrobiologist at Washington State University. Schulze-Makuch and Ian Crawford, a professor of planetary science and astrobiology at the University of London, say conditions on the lunar surface were sufficient to support simple lifeforms shortly after the Moon formed from a debris disk 4 billion years ago and again during a peak in lunar volcanic activity around 3.5 billion years ago. During both periods, planetary scientists think the Moon was spewing out large quantities of superheated volatile gases, including water vapor, from its interior. Schulze-Makuch and Crawford write that this outgassing could have formed pools of liquid water on the lunar surface and an atmosphere dense enough to keep it there for millions of years. 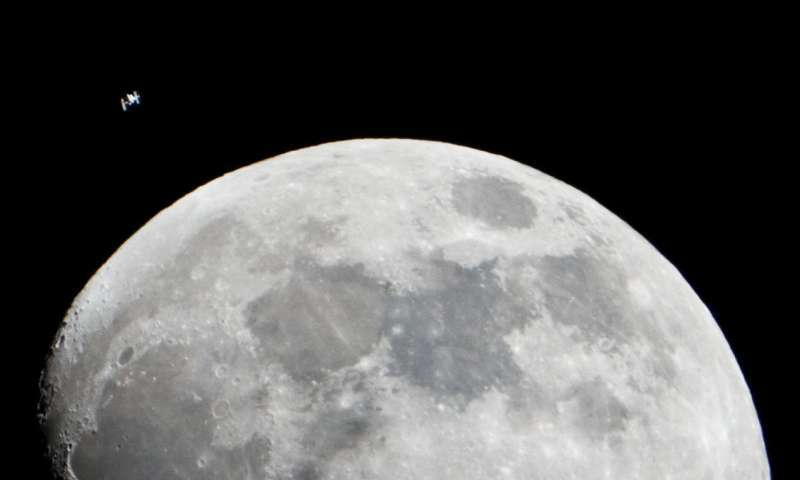 "If liquid water and a significant atmosphere were present on the early Moon for long periods of time, we think the lunar surface would have been at least transiently habitable," Schulze-Makuch said. Schulze-Makuch and Crawford's work draws on results from recent space missions and sensitive analyses of lunar rock and soil samples that show the Moon is not as dry as previously thought. In 2009 and 2010, an international team of scientists discovered hundreds of millions of metric tons of water ice on the Moon. 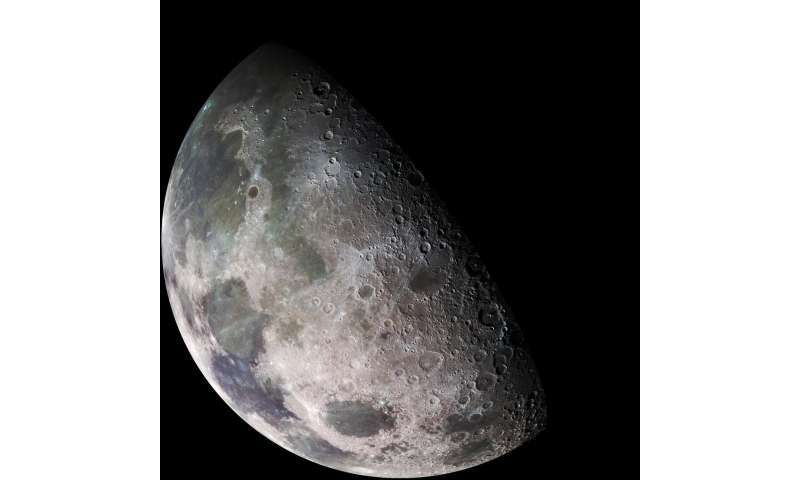 Additionally, there is strong evidence of a large amount of water in the lunar mantle that is thought to have been deposited very early on in the Moon's formation. 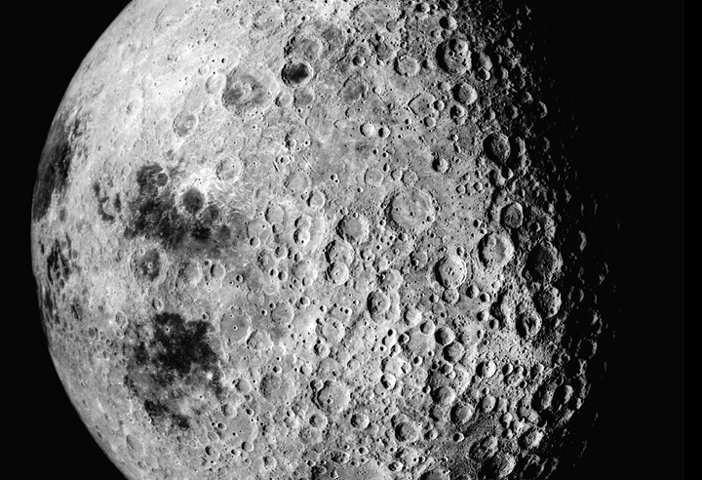 The early Moon is also likely to have been protected by a magnetic field that could have shielded lifeforms on the surface from deadly solar winds. Life on the Moon could have originated much as it did on Earth but the more likely scenario is that it would have been brought in by a meteorite, Schulze-Makuch said. The earliest evidence for life on Earth comes from fossilized cyanobacteria that are between 3.5 and 3.8 billion years old. During this time, the solar system was dominated by frequent and giant meteorite impacts. It is possible that meteorites containing simple organisms like cyanobacteria could have been blasted off the surface of the Earth and landed on the Moon. "It looks very much like the Moon was habitable at this time," Schulze-Makuch said. "There could have actually been microbes thriving in water pools on the Moon until the surface became dry and dead." Schulze-Makuch acknowledges that determining if life arose on the Moon or was transported from elsewhere "can only be addressed by an aggressive future program of lunar exploration." One promising line of inquiry for any future space missions would be to obtain samples from deposits from the period of heightened volcanic activity to see if they contained water or other possible markers of life. In addition, experiments could be conducted in simulated lunar environments on Earth and on the International Space Station to see if microorganisms can survive under the environmental conditions predicted to have existed on the early Moon.